There are two English League One games scheduled for Sunday 13 October 2013 and both home teams, Bradford and Coventry, are worth backing to accrue another priceless three points. 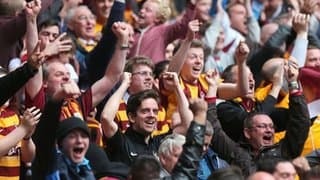 Bradford gained promotion through last term’s English League Two play-offs but many good judges thought that the Bantams were the best side in England’s fourth tier and that they would have won the title had they not been distracted by their stunning run to the English Capital One Cup final. 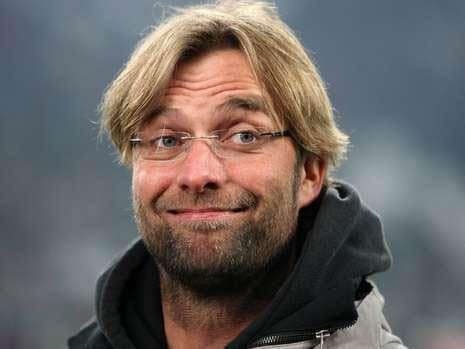 Certainly Bradford is going the right way about proving that it was the strongest of the four teams that came up, losing only one of its 10 English League One matches and taking 13 points from its five home games, including thrashing one of the pre-season title favourites, Brentford, by four goals. Bradford’s next opponent is Tranmere, the Wirral side that would have been relegated to English League Two last term had its first half been as bad as its second half. Tranmere led English League One early on in the season but fell away badly and has carried over its dreadful form into this term, winning only one divisional match and that was courtesy of an injury-time penalty kick. Tranmere has lost each of its last five games across all competitions and its malaise has been constant over such a long period of time that it is difficult to see Rovers turning the corner. BetVictor is offering odds of 1.62 that Bradford maintains its place in the English League One promotion race with a home defeat of Tranmere. Those odds represent decent value, as do Coral’s 2.00 about Coventry beating Sheffield United. Coventry would be seventh on the English League One ladder had the English Football League not chosen to punish the Sky Blues with a 10-point pre-season penalty for off-the-field indiscretions. But whereas Coventry’s campaign has gone from strength to strength, Sheffield United’s experience has been quite the opposite, with the Blades without a win other than one following a penalty competition since struggling to put away 10-man Notts County at the beginning of August 2013. Sheffield United thought that it had hired one of football’s up-and-coming managers when David Weir signed a three-year deal to lead the Blades but the former Everton reserves boss looks like a dud. Sheffield United was one of English League One’s big spenders heading into this term so it is nothing short of embarrassing that the Blades have won one, drawn three and lost nine of their 13 matches under Weir. Pardon the pun but Sheffield United supporters have their knives out for Weir because the Blades are heading towards England’s fourth tier under the Scottish rookie. Odds of 2.00 about Coventry beating Sheffield United would be on the mark if the Sky Blues were genuinely two points and four spots above the Blades. But everyone knows that Coventry’s position on the English League One is false so the odds that Coral is offering are wrong. Coventry has every right to be listed at odds of around 1.80. Five African sides will qualify for the 2014 FIFA World Cup Brazil, with 10 teams still in the hunt for one of those berths. Tunisia and Cameroon kick off their two-legged tie in Rades and there are good grounds for backing the Eagles of Carthage to make the most of home advantage and beat the Indomitable Lions. Tunisia has won each of its last three home games, defeating Sierra Leone 2-1, Congo 3-0 and the Cape Verde Islands 3-0, plus its only losses in its last 11 matches came versus Switzerland when it played with 10 men for the final 16 minutes and conceded a last-gasp winning goal. Cameroon’s away form has been poor over the last 12 months, with the Indomitable Lions beating only Togo and its road record reading one win, three draws and four losses. In addition to backing Tunisia to beat Cameroon at home, an option that BetVictor is quoting at odds of 2.30, one could also back the Eagles of Carthage to win 1-0 at odds of 6.75 with 888sport given that all of the key statistics point to a low-scoring home win. But bookmakers are ducking under two and a half goals in that most popular of football exotics.